Parties. By completing the online sign up process and payment for this service, you are a party to this agreement (client) with Dynamic Coaching, LLC (coach). Price and Payment Terms. The total price of this agreement is listed as a package or as a recurring monthly charge online at https://jackallenphd.com/appointments/. 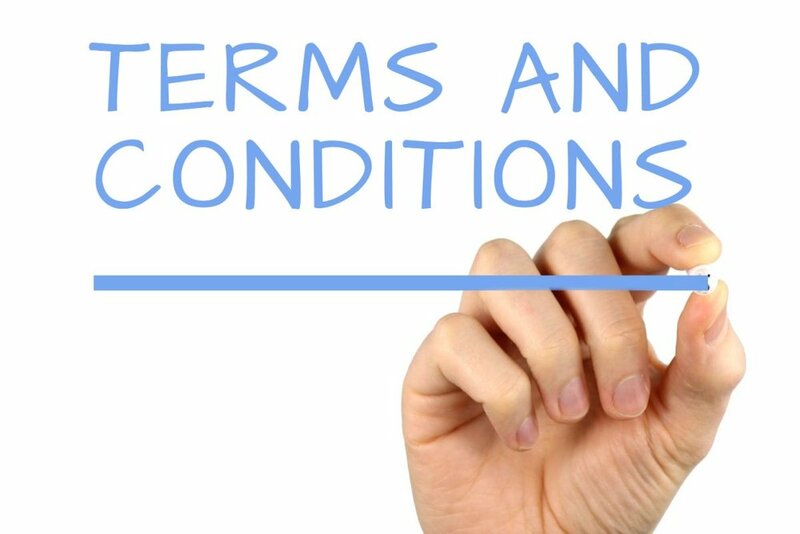 The agreement automatically renews until canceled by client or coach. This agreement may be canceled at anytime. Because the time is set aside for client and may not be resold, unused portions of this agreement may not be refunded. Enforcement. This agreement is enforceable upon payment. Expiration. This agreement expires upon cancellation. Disclaimer. Before investing or conducting business, be sure to carefully consider the investment and business objectives, risks, charges, and expenses involved. All investments and business activities involve risks including the possibility of loss of all or part of the principal invested. Past performance does not guarantee future performance. The parties contributing to this program are not registered or licensed investment advisors, nor are they licensed psychotherapists. Their comments and opinions are their own and are not meant to be taken as investment or business advice, or therapeutic counseling, or recommendations. Even informed opinions are merely opinions. The strategies outlined in this program are simply the result of research done in this field and are presented as opinions not recommendations. The coach only presents ideas, concepts, and strategies that are used by some people in various parts of the world. Use due diligence and form your opinions based on your ability to invest, discern the best path for your life and business, and to complete the work you desire to do. Terms. The terms of this Agreement shall remain in effect and be binding upon the parties commencing upon payment and concluding upon cancellation. Coach and client have the right to mutually amend this contract and scope of work at any time. Indemnification. Coach will not be liable for any indirect, incidental, special, consequential, exemplary or punitive damages arising out of this agreement. Coach’s maximum liability under this agreement shall not exceed the total fees received. Non-Solicitation. Coach and client agree that no effort shall be made to solicit employees from the other party, directly or indirectly, and that no compensation of any kind may be offered or provided to any person currently compensated by the other party without prior written consent by the prior compensation provider, for the term of this agreement. Advertising/Publications. Client grants coach permission to release information with respect to their business relationship in advertising, marketing, public relations or similar publications. Confidentiality. The coach assumes that any non-public information revealed during coaching sessions is confidential. All employees of Dynamic Coaching, LLC adhere to professional standards of ethics and confidentiality. A person expresses a plan to harm their own person. A person expresses a plan to harm another person. A person expresses that he or she has harmed or subjected to abuse, neglect, or exploitation a child or a vulnerable adult. A person expresses that he or she possesses information regarding a crime that puts or has put Dynamic Coaching, LLC or our client’s organization, property, customer, supplier, or an employee at risk. Reciprocally, client agrees to maintain confidentiality, accepts responsibility for decisions and actions by its employees and associates, and to protect all proprietary processes, information, intellectual property, and reputation of Dynamic Coaching, LLC in perpetuity. Coach is not responsible for the confidentiality of other persons made aware of information during the course of business. Coaching Philosophy and Process. Philosophically, the coach believes that the answers the client needs are inside the client. Occasionally, however, the client may feel “stuck” to the point that the coach best serves the client by suggesting a direction. The coach always respects the client’s wish for self-discovery, and prefers clear direction from the client on their needs. The answers needed appear most easily when the client focuses on beliefs consistent with sensory evidence, aligns desires with achievable results, and takes action that moves toward a positive goal. Together, client and coach focus on the client’s goal and how to achieve it ethically. From the client’s goal and action plan, the coach assists to suggest measures and accountability to reach a goal. Coach offers instruction to clarify objectives, aid in self-discovery, empower action, or build accountability. Client agrees to follow instruction, documenting progress through each step, and to take positive action toward achieving their objectives. Client makes the coach aware of obstacles to their progress, and asks for support or help as desired and appropriate. Sessions offer client an opportunity for personal interaction on any step, to ask clarifying questions, and to gain knowledge. Client finds resources to clear barriers that impede progress. Client takes action toward achieving their goal. At any stage, client may choose to adjust their goal and start the process again. Together, client and coach follow a process of confidential, respectful, and inquiring conversations. The coach listens carefully, asks empowering questions, and offers suggestions to move client toward action. The client allows the process to move their thinking forward, takes action, and makes adjustments to hit a goal. Often, a step-by-step course of instruction helps build new skills or a more positive mindset along the way. Throughout the process, the client has the coach’s intellectual help to overcome barriers, anticipate consequences, take action, and create accountability. notify coach of changes to client’s information or desires. Access to 45-minute coaching sessions as stated on website scheduling page. Sessions will be over the phone unless otherwise agreed. Client agrees to schedule meetings online. Access to optional group meetings held at time and place to be determined as available. Client agrees to reschedule via online calendar with 24 hours notice. Skipped sessions may not be rescheduled nor refunded. Access to proprietary Mindset for Success program. Access to Mindset for Success Facebook group. Email and text support as needed. One, electronic copy of Dr. Jack Allen’s latest book (on request). One, VIP ticket per year to any single Dynamic Coaching event as available. Coaching is a professional relationship of equals where the client is responsible to adopt desired behaviors to move toward a goal that they freely choose and may adjust at any time. The client is responsible for their decisions and results. The coach supports the client. Acceptance of this coaching agreement with Dynamic Coaching, LLC means accepting that services are not in any way psychological counseling or any type of psychotherapy or business advice. No one associated with Dynamic Coaching, LLC is a licensed psychotherapist or a registered or licensed investment advisor. Dynamic Coaching, LLC, by Jack Allen, Managing Member, PO Box 302243 Austin, TX 78703.